At long last, fall has arrived here in the south. And with the arrival of fall, we are excited to roll out our much anticipated seasonal soy candle, Fall Ya'll. 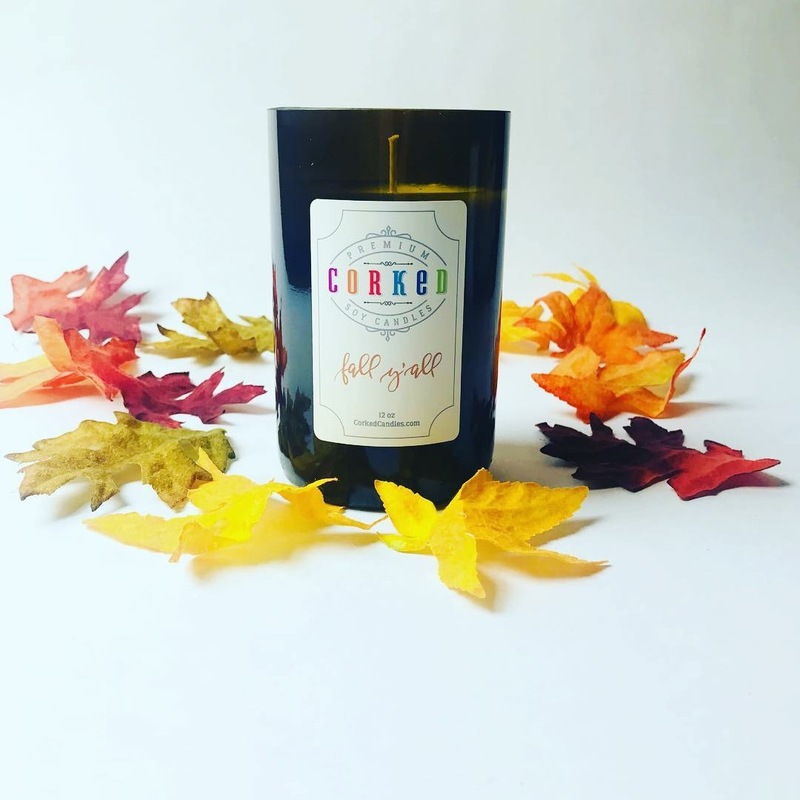 As some of you may know, we use Urban Tree Cidery's amber colored cider bottles to make this unique soy candle. Fall Ya'll is only available for a short time in the fall and in limited supply in Urban Tree's amber cider bottles. We do offer this scent in our green and clear repurposed wine bottles because no matter the bottle, the scent Fall Ya'll is amazing! This scent is reminiscent of a walk through a woodland forest on a cool autumn day in the south. Cool and crisp with an undertone of apples in a nearby orchard. And of course, each of our premium soy wax candles come with our unique cork on top. So a great big thank you to Urban Tree Cidery for allowing us to recycle their bottles and help save the world, one bottle of wine or cider at a time! Our candles are 100% soy wax harvested from the soy bean. They are non-toxic, clean, and burn twice as long as a paraffin candle. Each candle is cut from a repurposed wine bottle collected from family, friends, and local establishments. All remaining glass pieces are taken to the nearest recycling facility. Each scent is inspired by our love of wine and time spent with friends. We are sure you will find several that will become your new favorites.